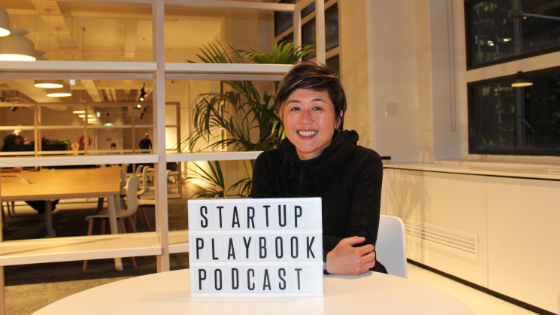 My guest for Episode 91 of The Startup Playbook Podcast is Jenn Lim, the CEO and CHO (Chief Happiness Officer) of Delivering Happines, a company she and Tony Hsieh (CEO of Zappos.com) co-founded to inspire science-based happiness, passion and purpose at work, home and in everyday life. Jenn has been a consultant with Zappos from its start-up days in 2003 to the several billion-dollar business it is today, including through the $1.2B acquisition of Zappos by Amazon in 2009. In 2010, Jenn led the launch and management of Tony’s first book (Delivering Happiness) which sold over 800,000 copies internationally and hit #1 on numerous bestsellers list (including the New York Times, Wall Street Journal and USA Today). It was voted one of the best business books by NPR, Inc. Magazine and the Wall Street Journal, remained on the New York Times list for 27 weeks and has been published in 20 languages around the world. The success of the book led to Jenn and Tony starting Delivering happiness the company, a coaching and consulting business that helps create a happier culture resulting in more profitable businesses.